Entries can be accepted from people who are neither members of BOF nor of an international O-Club. Enter by age class. If you want to run in a different class on some days you have to create separate profiles in step 2 of the online entry process, one for each class. Full time students who enter at Junior’ rates will have to provide proof of status. SI-card hire will be charged at £1 per day for Seniors and 50p per day for Juniors, payable when entering. 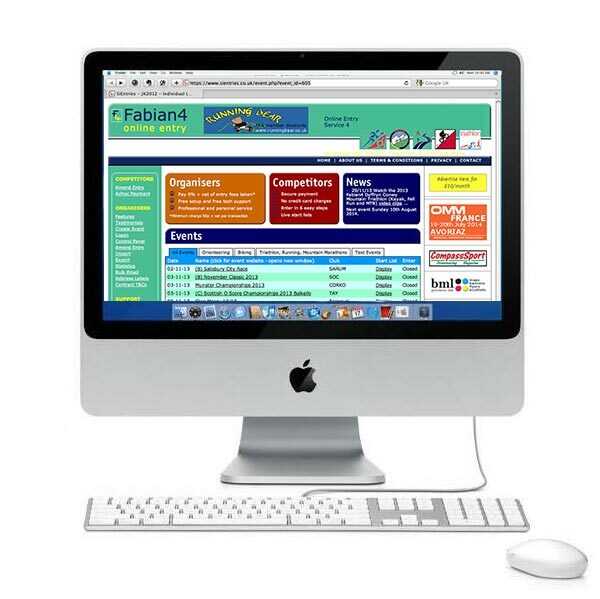 All payment must be in pounds sterling, using a credit or debit card if using the Fabian4 on-line entry system. On Tuesday evening there will be a Countryside Score event at Cartmel. You can enter this at the same time as you enter the 5 Day event. The entry fee is £4 for seniors and £2 for juniors/students. There are two postal entry forms. One for the main 5 day competition, and a supplementary form for the Urban and Countryside Score events and to order merchandise. You can download the forms by clicking the links below or you can request them by email from or by post from the Entries Secretary at the address below. Entries Secretary, 221 Hale Road, Hale, Altrincham, Cheshire WA15 8DN UK . Enclose a cheque payable to “Lakes 5”. Complete the paper entry form(s) and mail to . Payment can be made direct to the event account (payer to pay all costs). Bank account details will be provided on receipt of the entry. The entry will only be processed when payment has been received. Until July 18th for entries made on-line through Fabian4 using a credit or debit card, you will receive a credit on your card minus a refund administration fee in accordance with the Fabian4 T&Cs. e-mail to request cancellation. From July 19th to July 30th Use the same procedure (as above) to request a 50% refund. From July 31st Refunds for cancellation to recognise exceptional circumstances will be at the discretion of the Event Director and such requests should be made to . Until July 18th you can alter your entry details using the competitor Amend Entry function on Fabian4. From July 19th to July 30th Class changes will be charged at £5 per competitor. Please pay the relevant fee via the Fabian4 Adhoc Payment feature and state the required change in the reason for payment box. From July 31st changes will be dealt with at Enquiries at the events, with appropriate fees. Start times will be in blocks. The 3 hour start period will be divided into 5 blocks and every competitor will have a start time in a different block each day. All members of a club will use the same start blocks, but you can choose to run with a club other than your own. There will be limited flexibility for exceptions to this system. Split starts will be available for parents (or for any other reason). The first runner will be given a start time in the first start block. The second runner will have an Open Start. The two runners will be given the pre-allocated early start on alternate days. We are providing a wide choice of event clothing, including a technical top, college hoodies, polo shirts and T-shirts. Details are available on the Merchandise page.